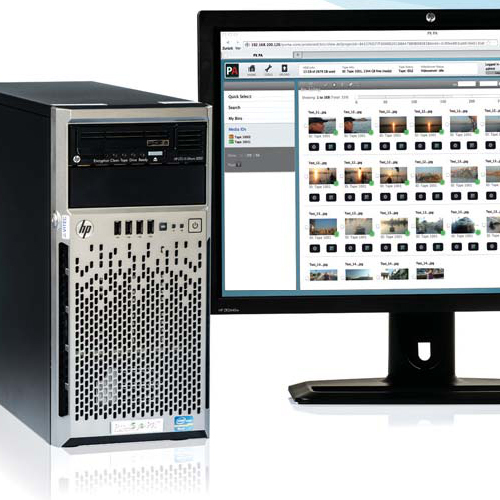 Proxsys PA-Series is a robust and cost effective media archiving system that combines a professional video engine, database and online/offline storage. Its complete archiving workflow includes fast ingest of media files and projects, automated archiving on LTO-5/6 tape for easy file organization, search and previewing via an intuitive user interface. With Proxsys PA you can directly import and archive XDCAM (EX), P2, AVCHD, AVCIntra, MOV, AVI, H.264, MPEG-2, unkompressed, etc. files or even complete NLE projects. As enhancement of an NLE Editing Server you can simply drag your Final Cut, Edius or Premiere project file to a self defined Watch-Folder from which the PA will copy the project - with all assets and folder names/locations - to the Proxsys online storage. After set rules (e.g. after 30 days) the project will be archived on LTO tape; and can later be completely retrieved simply via the LTO tape. Thanks to the LTFS file system you can mount an LTO tape just like a standard removable media. The former time and resource consuming process is reduced to a minimum while your desired files are safely stored and ready for use with just a few clicks. The project oriented structure allows you to keep track of your media and via linked metadata information the powerful search engine of the Proxsys PA facilitates the search and retrieval of your media content.